In 1909 Englishman Israel Massey settled in Devonport and purchased a milk vending business from a Mr Hamer, delivering milk around Devonport and Belmont by "dandy" cart. Milk came from Hobsonville by launch. 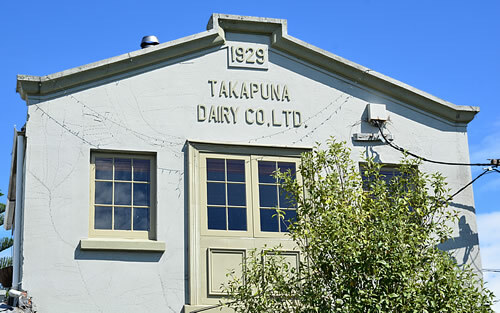 The Takapuna Dairy Company Ltd was incorporated in 1913. Massey built a new milk factory on the site of the existing milk depot, on the corner of Mozeley Avenue and Victoria Road, Melrose, Devonport, right next to their house, and imported and installed one of the earliest fresh milk pasteurising systems. In 1920 he installed an ammonia refrigeration plant for chilling of the milk, and began to sell block ice. This was delivered around Devonport by horse and cart, along with milk, cream, butter and eggs. By now, raw milk was being collected by Fred Massey in the company's truck from dairy farms in Albany and Coatesville, pasteurised, chilled and delivered by 12 roundsmen. It was carried in 44 gallon cans, for dipping into customers' own containers. In 1928, following a trip to the USA, Israel expanded the factory, adding a second story, and installing a pasteurising vat, as well as a steam steriliser for cleaning milk cans. 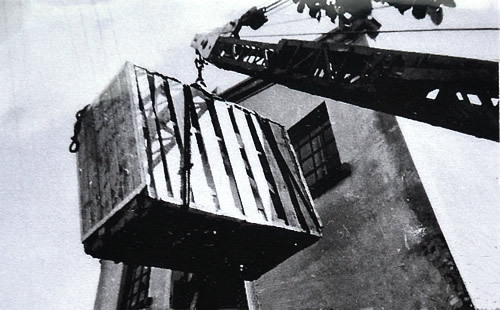 Photo: New equipment being craned into the factory, 1928. As part of this major expansion, Massey also expanded into the ice cream business. 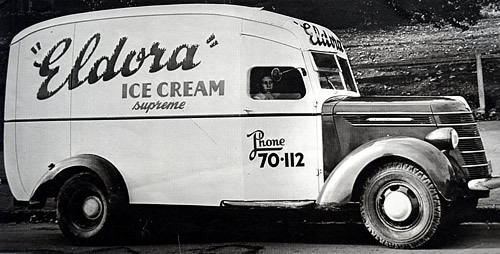 Eldora ice cream was made from an American recipe but the name was derived from an old English ice cream brand, Eldorado. 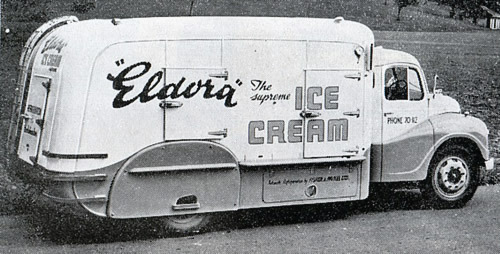 Eldora sold bulk and cardboard-packed take-home ice cream, hand-made milk ices on sticks, and popular "Eldora Pies", chocolate-coated ice cream bars. 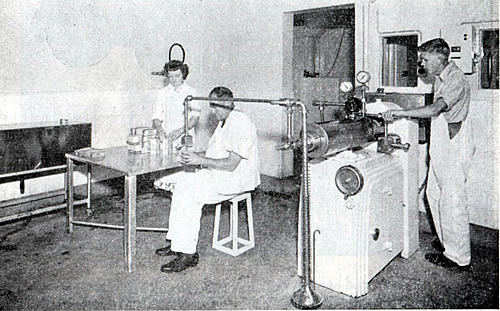 Equipment consisted of a 40-quart Cherry-Burrell freezer (churn), a 60-gallon per hour Union Viscolizer (homogeniser), and a 60-gallon Coil Pasteuriser. Their delivery truck was a Ford, with the insulated body refrigerated by ice and salt. Massey's four sons Arthur, Bill, Fred and Keith, and daughter Mary, were all involved in the milk and ice cream business, more and more so as Israel's health deteriorated. There was a small shop on the corner of the family home, right next to the factory, selling milk, cream, ice cream, butter and eggs. 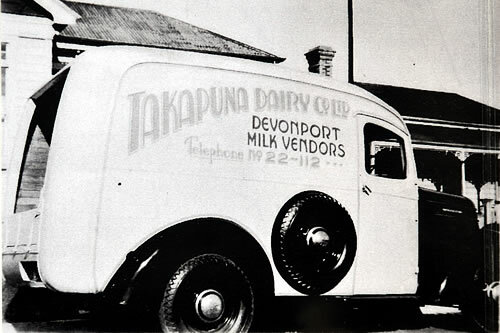 Photo: Takapuna Dairy Co. milk delivery van. 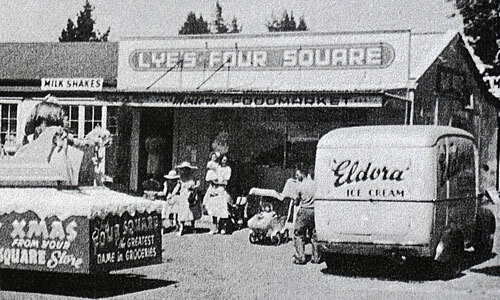 By the 1930s Arthur Massey was delivering Eldora ice cream by truck as far away as Whangarei, providing good competition to Robinson's the major brand at the time. At its peak, the company had branches at Whangarei and Dargaville, and delivered as far south as Hamilton. In 1938, the company took the big step of investing in 'automatic' (electric) refrigeration in all its retailers' premises, and a new Kelvinator refrigerated truck was commissioned to replace the old salt and brine unit. This meant that deliveries could be reduced from daily to once or twice weekly. Square, Beach Rd, Murray's Bay. Following Government moves to rationalise and control the dairy industry, Takapuna Dairy Company sold out of the milk treatment side of the business in October 1949, the year that Israel Massey died, and closed down the vending business in 1959. By 1952 the company was operating with a capacity of 500 gallons per 8 hour day, running a 200-gallon spray pasteuriser, a 180-gallon per hour viscolizer, two 200-galllon stainless steel refrigerated holding vats and one 80-gallon per hour Vogt freezer. Photo: Factory interior, 1952 (Frostee Digest). Transport was provided by a 30-cwt International refrigerated van, and a new 5-ton Austin 'Lodestar' refrigerated truck. Photo: Arthur's son Brian Massey 'driving' the Eldora International delivery van. Photo: Eldora Austin 'Lodestar' delivery truck (Frostee Digest). 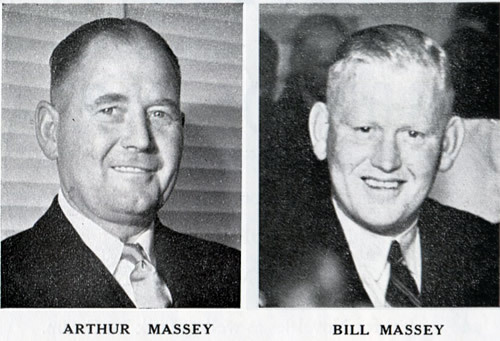 Arthur Massey served as President of the NZ Ice Cream Manufacturers' Association from 1957 to 1960. The Eldora brand survived into the '60s, however at some point during this period, it was folded into the Gaytime brand, which originated in Christchurch but was was by then owned by General Foods Corporation, parent company of Tip Top. Tip Top purchased the Eldora ice cream business in 1964. 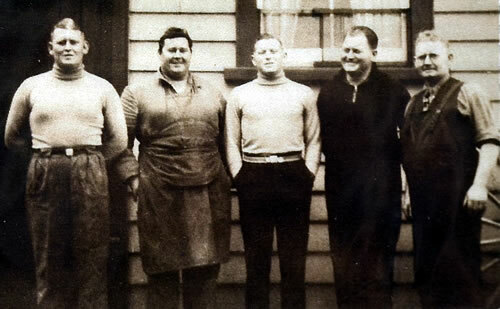 Arthur Massey became manager of General Foods Corp's Wairau Road depot, and Bill Massey served for some time as Director for Gaytime Ice Cream Products Ltd., eventually also taking up a position with Tip Top. Photos: Takapuna Dairy Co. factory and shop, ca. 1960 (note Gaytime ice cream sign), and now. The Takapuna Dairy Co. factory, and adjacent building where the family lived and the shop was located, are still standing, now a family home. - Special thanks to the Massey family for permission to reproduce the photos in this article from their collection. Back to Ice Cream Brands from the Past. Born in Burnley, Lancashire, Israel emigrated to New Zealand in 1909, and bought into a Devonport milk vending business with a Mr Hamer. A pioneer in milk treatment with his early introduction of pasteurisation, and a successful ice cream manufacturer, with branches in Dargaville and Whangarei, and delivering as far south as Hamilton. As well as the shop on the corner of the Mozeley Ave./Victoria Rd home and Eldora factory premises, Israel also established the Stanley Dairy, a small shop at 116 Calliope Road, Devonport. 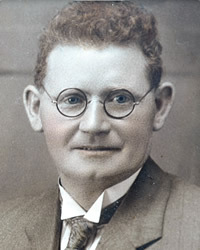 Israel was manager of Meiklejohn's Church St bagwash (laundry), and served as a vendor representative on the Auckland Metropolitan Milk Council (1935-37).